A Closed and Common Orbit is a love letter to anyone who’s ever felt awkward, out of place, didn’t know what to say, or didn’t feel quite human. 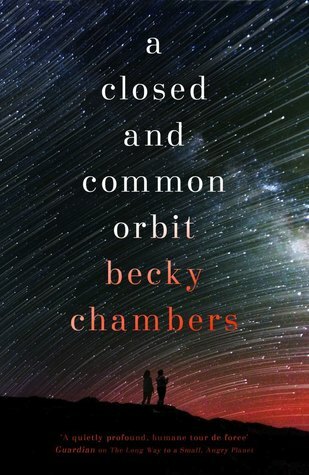 Chambers weaves two parallel stories, twenty years apart, into a gripping, wonderful story posing the questions (and daring you to answer differently) what it means to be sentient and whether or not your feelings – silicon, engineered, or womb-born – have the right to exist. It’s yet another enjoyable romp that isn’t afraid to grapple with big important things without beating you over the head with them – and makes it look effortless. More, please.